What is your training completion rate? Training that doesn’t get completed means money down the drain not to mention a lost opportunity to build the capabilities of your workforce. With instructor-led training, completion rates tend to be high because finishing the course is often just a function of sitting through the presentation. With eLearning, the responsibility for training is transferred to the learner. There are many benefits to this shift in accountability, but for most learners the benefits come with the challenge of fitting in training with all of their other job duties. Tracking the completion rate of your eLearning is the first step to better results with eLearning. 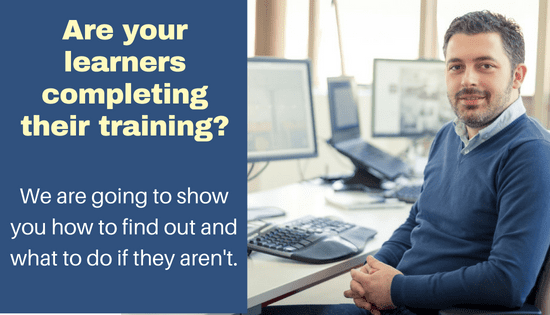 This video will show you how to calculate your training completion rates in QualityTrainingPortal. We have created a worksheet that will help you calculate your Training Completion Rate. The video will show you how to get the numbers you will use in the worksheet. Learn the five top ways that QualityTrainingPortal administrators are improving their Training Completion Rates in this article. Did you know that you can send emails to your learners through QualityTrainingPortal? With System Emails, you can remind a group of learners to complete their training or congratulate those who have finished courses. Three system email templates are already set up in your account and ready for you to use. Customers who have used system emails during beta testing report improved course completion rates with a lot less follow-up effort on their part. To learn more about System Emails, check out our How-To Guide, read our documentation or contact Robin McDermott, Director of Training to get started.